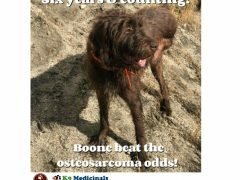 Six years after his diagnosis, Boone the osteosarcoma bone cancer hero is going strong on three legs thanks partly to Armor-Up immune support by K9 Medicinals. 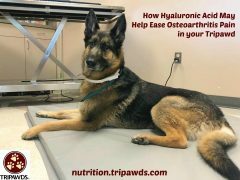 If your Tripawd cat or dog has osteoarthritis, ask your vet about hyaluronic pet supplements and injections to help ease inflammation and restore joint health. 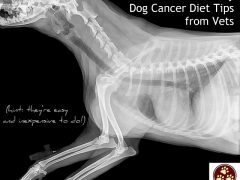 If your Tripawd isn’t eating, don’t give up hope. 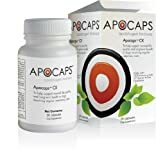 A new dog and Cat appetite stimulant may help. 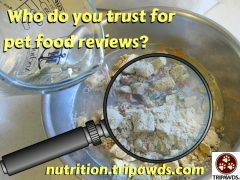 Who you do trust for pet food reviews on the Internet? 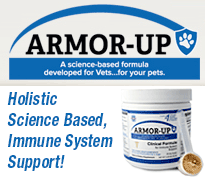 Here’s our suggestions for finding reputable pet nutrition websites. 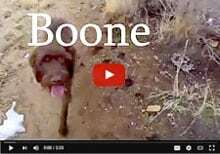 Warm spring weather will bring pests before we know it. 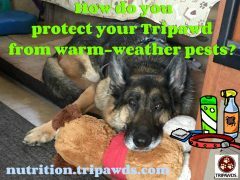 Here’s our favorite flea and tick remedies for Tripawds, and we want to hear about yours too! 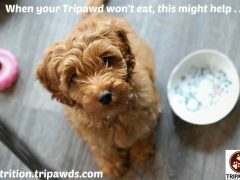 Easy DIY Tripawd Treat recipes help promote weight loss and are so simple to make, even if you hate cooking for yourself. 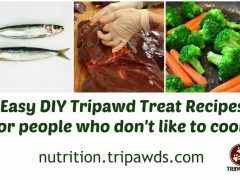 Get the Scoop: Tripawds Nutrition Survey Results are In! 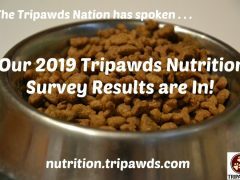 Learn from the Tripawds community with fascinating feedback from the 2019 Tripawds Nutrition Survey Results. 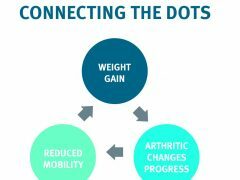 Osteoarthritis and obesity lead to a painful, poor quality of life for our three and four-legged pets, but we all have the power to avoid it. 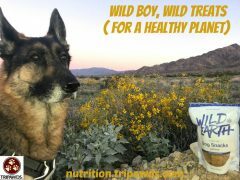 Heal the planet, love your dog with BOGO sale on meat-free pet food treats with good protein by Wild Earth.